“In one year, the LHC will begin to change. 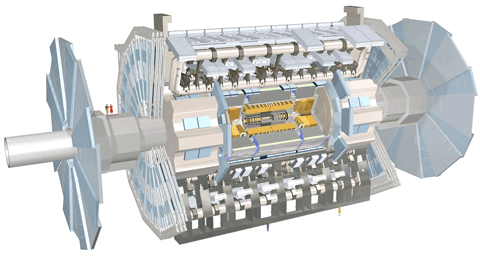 During the first long shutdown, from December 2012 to late 2014, the machine will go through a first phase of major upgrades, with the objective of running at 7 TeV per beam at the beginning of 2015. With this long technical stop and the two others that will follow (in 2018 and 2022), a new project will see the light of day. Current plans include the study of something that looks more like a new machine rather than a simple upgrade: the High Luminosity LHC (HL-LHC). 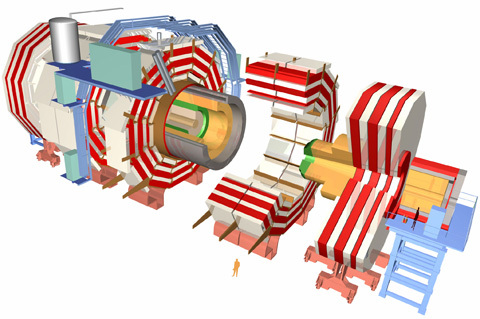 Much more powerful than the current machine, the HL-LHC will aim for a very high production rate of events for the ALICE, ATLAS, LHCb and CMS detectors. ‘On the machine side, the HL-LHC project has been approved and should be co-funded as a study by the EU,’ says Oliver Bruning, Leader of the Accelerators and Beam Physics Group (ABP) of BE Department HL-LHC Deputy Project Leader and Accelerator Study Leader of LHeC. ‘On the experiments’ side, teams are now working on the technical design reports. This part has not been approved yet, and the funds are still to be found.’ If everything goes well, the HL-LHC could be ready to start running in around 2020. Excited? See the full article here.